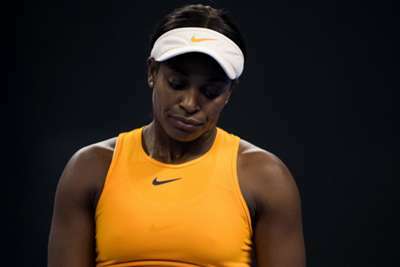 The Kremlin Cup and the Luxembourg Open saw a host of seeds tumble out on Wednesday, as Sloane Stephens, Karolina Pliskova and Garbine Muguruza were among those eliminated. World number 101 Ons Jabeur stunned 2017 US Open champion Stephens with a 6-3 6-2 victory as the American made just four winners in the opener and was broken twice early in the second set. Stephens' place in the WTA Finals had already been secured, though, and she will be joined in the season-ending tournament by Pliskova, despite her 6-1 6-2 loss to Vera Zvonareva. That is because Kiki Bertens, who would have claimed a berth at the Finals had she reached the semi-finals in Moscow, also crashed out in the last 16, Aliaksandra Sasnovich recording a 6-3 4-6 6-3 upset. A trio of seeds at the Kremlin Cup did advance to the quarter-finals, though, as Anastasija Sevastova, Daria Kasatkina and Anett Kontaveit all progressed. There were plenty of upsets at the Luxembourg Open, Muguruza, Carla Suarez Navarro, Katerina Siniakova, Pauline Parmentier and Kirsten Flipkens all fell to defeats in straight sets. Muguruza won just five games across her loss to Dayana Yastremska while Eugenie Bouchard was an even more comprehensive winner against Suarez Navarro, who narrowly avoided a double bagel in a 6-1 6-0 loss. Top seed Julia Goerges saw off Anna Blinkova 6-1 6-4 while sixth seed Donna Vekic came from a set down to beat France's Fiona Ferro.